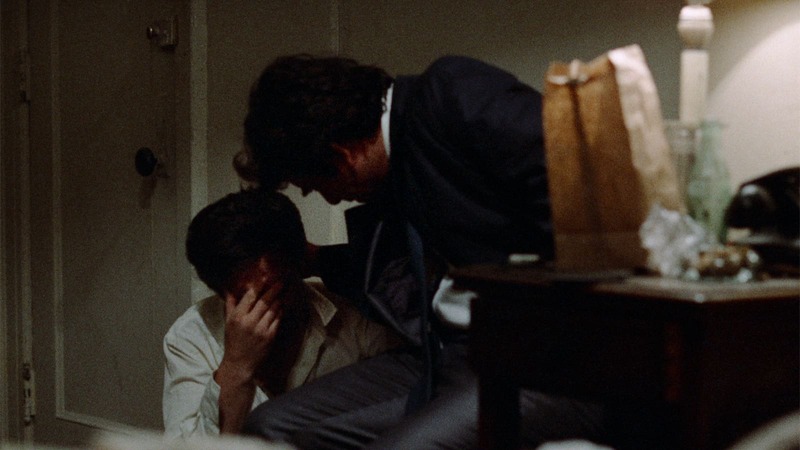 Mikey and Nicky is utterly and completely a film of the 1970s. It’s a portrait of people on the edge of society, people who have discarded morals and ethics for the post-1960s freedom the decade promised, Baby Boomers without responsibility embracing the shaggy aesthetics of a decade with no direction. 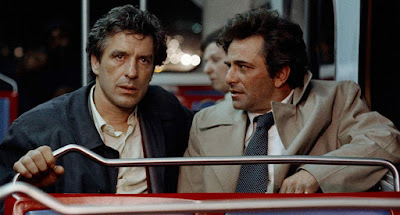 Mikey and Nicky is in love with the mythical New York City that regular people probably abhorred, since they were poor and victimized by politics and crime, but a New York City that gave us Travis Bickle, punk rock, and, hell, Studio 54 and Basquiat. “Toxic masculinity”: it’s not a 1970s phrase, but one of the 2010s. But it’s worth considering Mikey and Nicky through a modern lens as it finally lands on Blu-ray, because it’s a movie that is timely and relevant in the #metoo era. Story wise, this thing is pretty simple. 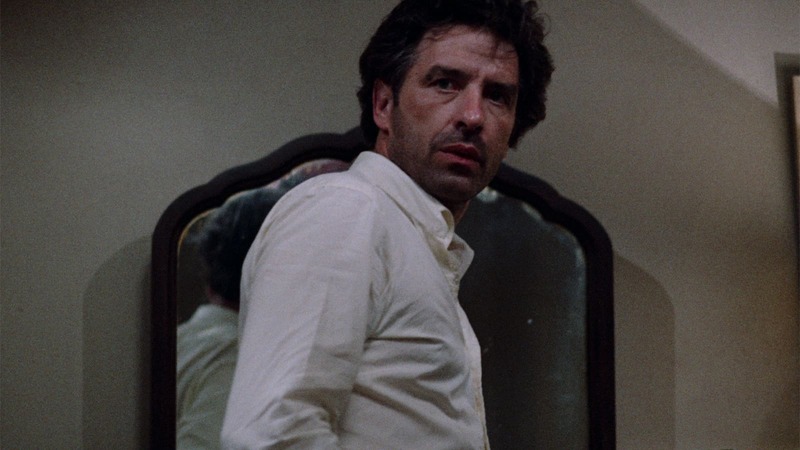 Nicky (Cassavetes) is a small-time hood with a price on his head. Desperate to get out of town before he is whacked, he contacts his friend Mikey (Peter Falk) to come liberate him from the hotel where he’s holed up. What follows is a night of debauchery, confusion, and anger, as the two hash out their disagreements in the haze of stale sweat, staler cigarette smoke, and Mikey’s fear. Through their interactions, we begin to get a picture of who each man is. Nicky is a hard charger, living in the moment, and afraid to slow down; Mikey is a deeper soul, more attuned to his responsibility, but possessed of his own darkness. For Nicky, all his sins are coming back to haunt him, and this atonement scares him. His toxicity is so pronounced, it’s literally eating him from the inside, his ulcers gnawing at his guts. Faced with his potential death, he knows he should make amends and do the right thing, but he can’t muster the courage. He nearly goes to his wife and kids to say goodbye, but he chickens out. The best Nicky can do is visit his mother’s grave. He’s a mama’s boy. Mikey is a daddy’s boy. He holds on to the watch the old man gave him as a symbol of paternal approval. We could parse how this has formed these two gangsters: one nervous and delicate, the other more solid but also more coarse. Nicky is used to being doted on and getting his way. He treats women as if they owe him something, and really, both these guys treat the whole city that way, too. It’s a great example of white privilege to see them go into a black bar and expect to do as they please. It’s a tense scene, where May allows things to get real. This is a moment when the world does not regard these crooks as they regard themselves, and that could produce consequences. Here Nicky is an instigator, an unblinking prick, and Mikey the peacemaker. Papa’s little man consistently taking care of the mother’s pride. 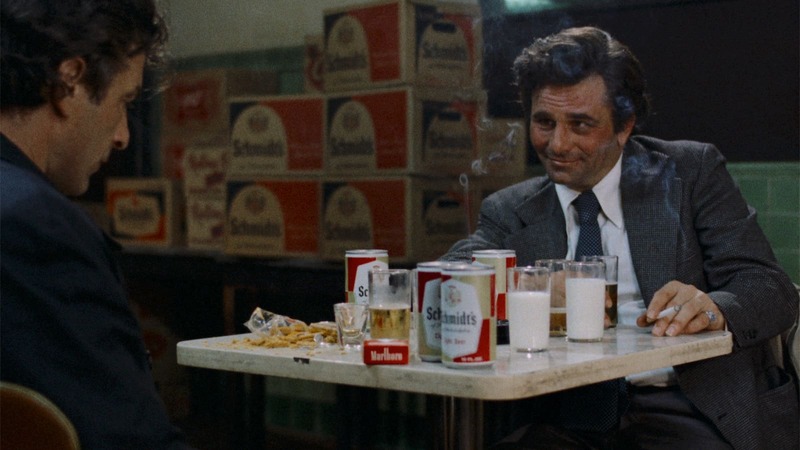 Just as their characters do, Cassavetes and Falk contrast one another as performers. May casts to type, to a degree. 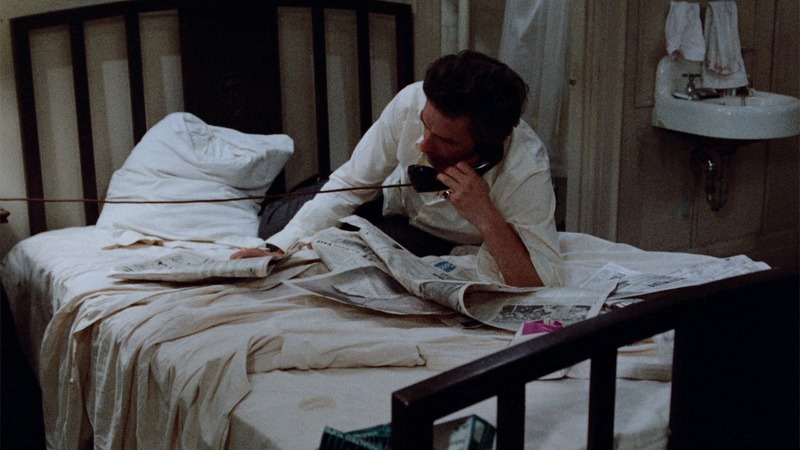 Columbo inspires trust, whereas Cassavetes is the artist whose manic energy likely made squares nervous. Falk seems like he is the system, Cassavetes can only buck it. They are tremendous together, I could watch them for hours, just like I could watch Leonardo DiCaprio and Jonah Hill misbehave endlessly in Wolf of Wall Street [review]. You sympathize with Nicky because Peter Falk knows how to play the man getting hurt--the bruised feelings after they visit one of Nicky’s mistresses, the dismay at his broken watch--you feel for the guy, but yet you also you don’t want to stop watching Nicky’s antics, either. 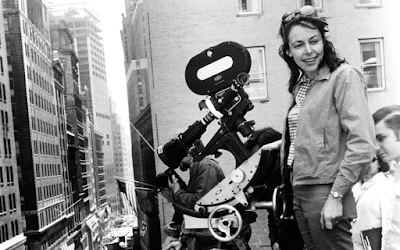 Elaine May, who both wrote and directed Mikey and Nicky, is a sharp satirist, so even though “toxic masculinity” and “white privilege” weren’t in the parlance of 1976, she’s aware of the concepts and what exactly she’s digging into. Her skill as a humorist means she can empathize even as she criticizes. She kind of likes Mikey and Nicky, and she kind of feels sorry for them. Of course, she reserves her deepest sympathy for the women they visit, as well as her pity. This is nowhere more intense than the fallout from Mikey’s cruel joke on Nell (Carol Grace), his sometime lover, whom he belittles and curses. In her response, we feel how she is the dual victim of male desire and societal judgment. Carol Grace delivers real heartache, and so, of course, May has to upend that and dump it on Mikey. His support of Nicky’s crass manipulation earns him deep humiliation. As the night wears on, when the men are left unto themselves, that’s when the real tea starts being spilled. Since this is a gangster movie, there has to be at least one double cross, and Mikey’s motivation may prove as murky as Nicky’s. Because what is revealed is they aren’t really close, they aren’t pals and are barely colleagues. Mikey challenges Nicky to prove he’s ever his friend when he’s not in trouble, citing real putdowns and slights. You can take the boys out of the playground, but you can’t take the playground out of the men. Thus, when dawn comes, it’s not really a new day. It’s the end of the narrative, and a time of comeuppance. 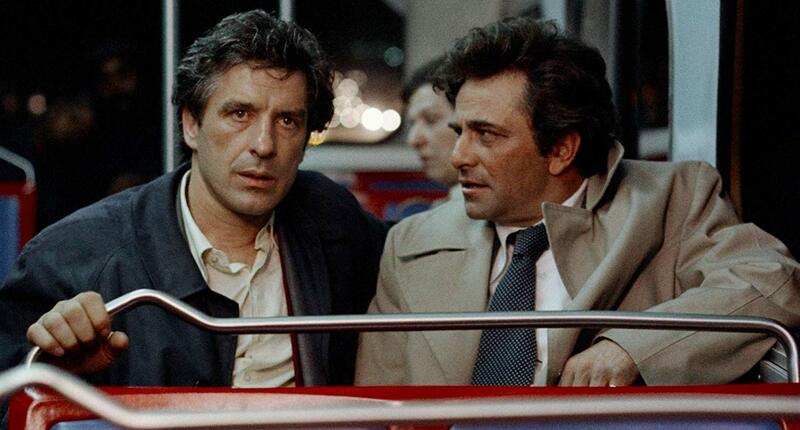 Did Mikey and Nicky learn anything? Probably not. Guys like that can only persevere...or die. 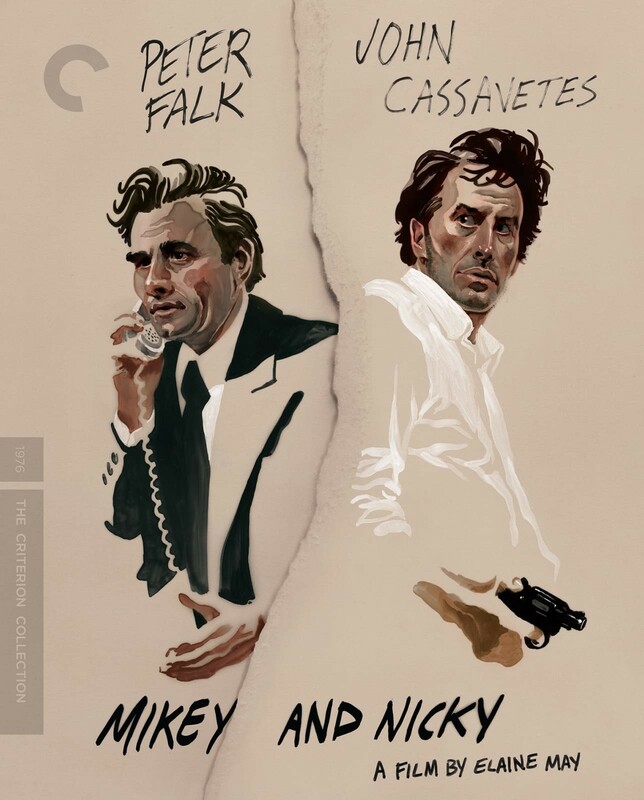 The only new day is for Mikey and Nicky itself, which looks amazing on this new 4K transfer. The picture is clear and precise without losing any of that ’70s New York grime. Well worth a fresh look now that it’s on Blu-ray. Nothing substantive to add to your great write-up of a terrific movie, except to say that your site is a marvelous resource. Bookmarked!